Turn off the lights. Draw the curtains. Light the candles. ItÂ´s time to go to the fortune-teller... It is a nice activity in which kids take turns to be a clairvoyant. 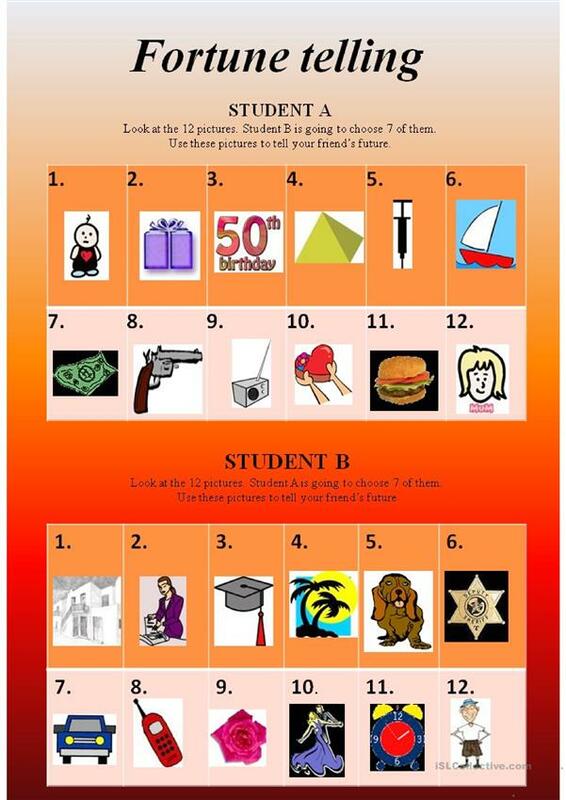 Looking at the pictures students must predict their friendsÂ´ future e.g. "I can see a gun, it means that your life will be/is going to be dangerous. You might/will even become a gangster..."
The present printable, downloadable handout is intended for elementary school students at Elementary (A1) level. It can be used for developing your pupils' Speaking skills.